Kolste was also one of 14 Pirates named to the All-NWC team. Seven, including Kolste, were named to the first team. 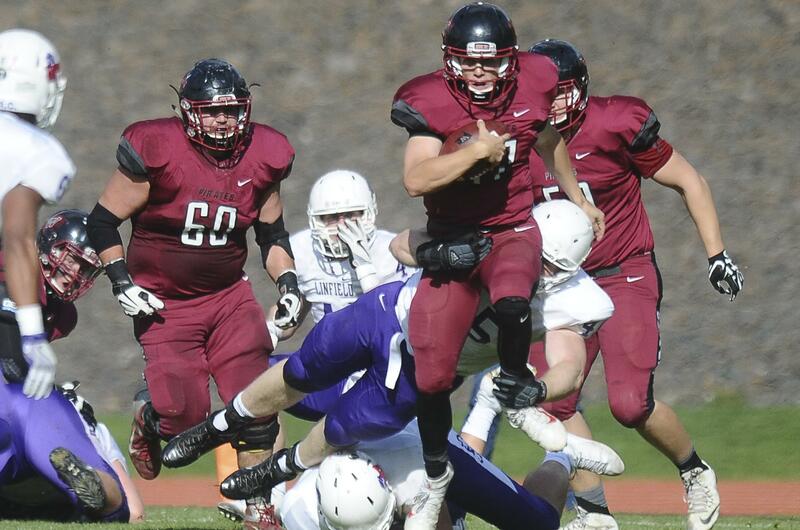 Kolste is the fifth player in Whitworth history to be selected as the NWC’s Offensive Player of the Year, the last being running back Adam Anderson, who earned the recognition in 2007 and 2008. The fifth-year senior set program records in career total offense (10,467), passing yards (10,124) and passing touchdowns (85). This season, Kolste led the conference in passing yards (2,483), passing touchdowns (26), completion percentage (67.8) and total offense (2,515). Also named to the first team were receivers Kevin Thomas and Garrett McKay, offensive lineman Tyler Adamson and kicker/punter Rehn Reiley, who is ending his Whitworth career with program records in field goals (33) and points scored (220). Linebacker Patch Kulp and cornerback Taylor Roelofs are on the first team defense. Four Pirates were named to the second team – running back Mason Elms, defensive end Chad Wilburg and receivers Michael McKeown and Nick Kiourkas, who made at least one catch in every game of his Whitworth career (41 games). Linebacker Kale Wong and offensive linemen Vince Porporato and Tanner Conroy received honorable mention consideration.